While in law school, Michael served as a legal intern with the U.S. Equal Employment Opportunity Commission where he assisted trial attorneys in the investigation of federal employment discrimination claims and preparation for depositions and court proceedings. He also completed a judicial internship with the Honorable Faith S. Hochberg, U.S.D.J. where he prepared legal memoranda and judicial opinions in a variety of matters before the Court. Michael is also involved in numerous community-based and civic organizations. He currently serves as an Advisory Board Member for the NJ Law and Education Employment Program (“NJLEEP”), a college access and success program serving students and families in the greater Newark area. He is also a former attorney mentor for an NJLEEP high school student. In addition, since 2010, Michael has been an active member Sidney Reitman Inn of Court, the first American Inn of Court devoted exclusively to Labor and Employment Law advocacy. Members of the Inn include several of New Jersey’s most esteemed attorneys in private practice, state and federal government, and the judiciary. He has served also on the Inn’s Program Planning Committee, which is responsible for preparing substantive and practical programs to educate new lawyers in the fundamentals of practicing employment law. Finally, Michael serves on the Alumni Council for his law school alma mater, Seton Hall University School of Law, and is a past co-chair of the Council’s G.O.L.D. Committee (Graduates of the Last Decade). 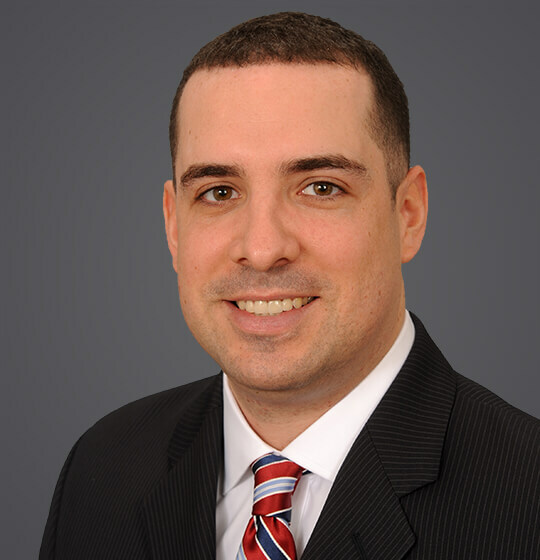 Prior to joining Ogletree Deakins, Michael worked in the Employment and Labor Law Department at Gibbons P.C. Michael is also a former judicial law clerk to the Honorable Patricia K. Costello, A.J.S.C. (Ret.). Defends single- and multi-plaintiff litigation and EEOC investigations involving Title VII, ADA, ADEA, FLSA, FMLA, LAD, CEPA, NYHRL, NYCHRL, breach of contract claims, and employment-related torts. Provides advice and counsel to employers concerning a variety of day-to-day employment-related issues, including drafting of employee handbooks and personnel policies, leave requirements, internal investigations, workplace reductions, and labor matters. Prosecutes and defends lawsuits seeking temporary and injunctive relief related to non-competition and non-solicitation agreements, and claims of misappropriation of trade secrets, tortious interference, breach of contract, and breach of fiduciary duty. Regularly provides advice on every phase of whistleblower and retaliation matters, from responding to complaints to defending litigation. Drafts and reviews various employment-related agreements, including employment agreements, severance and release agreements, confidentiality agreements, and non-competition and non-solicitation agreements. Obtained summary judgment in age discrimination and employee/independent contractor lawsuit brought under the New Jersey Law Against Discrimination in New Jersey state court on behalf of international insurance company. Obtained complete dismissal with prejudice of former employee’s claims of age discrimination under the ADEA, national origin and religious discrimination under Title VII, and disability discrimination under the ADA in New York federal court on behalf of large supermarket company. Obtained injunctive relief preliminarily enjoining and restraining a client’s former employee from soliciting its current employees and/or customers and from disclosing its confidential information in violation of non-compete/non-solicitation agreement. Successfully negotiated favorable settlements in numerous matters involving claims of discrimination, harassment, failure to accommodate, retaliation, hostile work environment, and FMLA violations. April 11, 2017 - SHRM Online - "New Jersey Bills Would Provide Employment Protections for Medical Marijuana Patients"
March 6, 2017 - SHRM Online - "New Jersey Court Strikes Down ‘Ambiguous’ Jury-Waiver Agreement"
September 2014 - Metropolitan Corporate Counsel - "EEOC 'Delivers' Guidance on Pregnancy Discrimination"
December 2012 - New Jersey Law Journal - "If It’s Your Duty, It’s Not Whistleblowing"
December 2012 - New Jersey Law Journal - "Underestimating the EEO Makes Bad Business for NJ Employers"
2019 Edition - Wolters Kluwer - "The Complete Guide to Human Resources and the Law"
February 20, 2012 - Entrepreneur Magazine - "The Risks of Betting on Sports in Your Office"
February 2012 - Entrepreneur Magazine - "The Risks of Betting on Sports in Your Office"
* No aspect of this communication has been approved by the Supreme Court of New Jersey. For methodology for selection for one of the honors above, please click on the link. On August 10, 2018, New Jersey Governor Phil Murphy signed legislation allowing striking workers to collect unemployment benefits under several new and potentially expansive circumstances. On January 16, 2018, Democratic candidate Phil Murphy was sworn in as the 56th governor of the State of New Jersey, replacing Republican former governor Chris Christie. As reflected in the Report of the Labor and Workforce Development Transition Advisory Committee, Governor Murphy’s administration is poised to advance legislation that will have a significant impact on employers doing business in New Jersey.